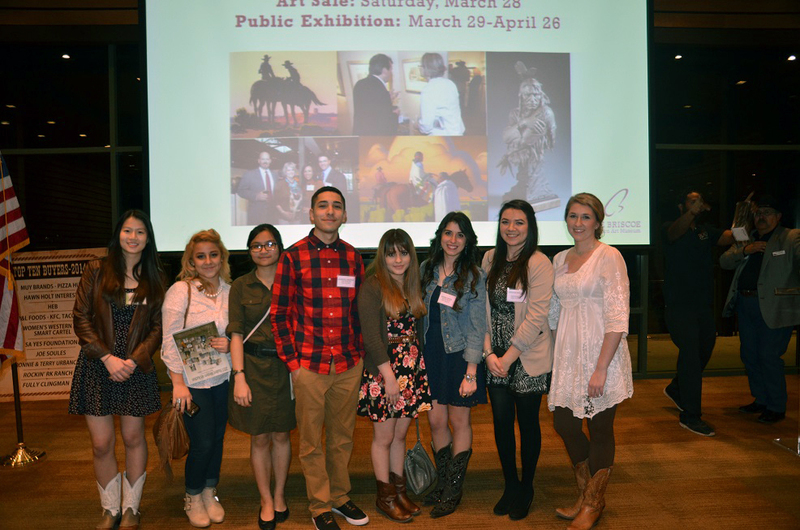 Eight of Pasadena ISD's talented art students traveled to San Antonio recently to compete in the San Antonio Rodeo Art Competition. Students from Dobie, Memorial and Sam Rayburn high schools threw their hats in the ring to qualify for auction. All of the students who competed qualified and brought in a total of $64,250 in scholarships. Denisse Molina, a senior from Rayburn, won Reserve Grand Champion. Her piece fetched $13,200 at auction. Pasadena ISD students claimed one-third of the total auction earnings. Congratulations to all of the students who competed as well as their teachers.